Hey guys ! I´ve been feeling like crap lately. My face looks awful and I feel hideous just looking in the mirror and for that reason I try to avoid looking at all . My cheeks in particular look so bad, full of acne and red marks from older pimples. I´ve also been crying so much, mostly because I remember how beautiful my skin looked last year and how bad it looks now . I don´t know what happened , I just know that my skin looked perfect and now looks awful. I also don´t want to go out because I´m ashamed of my face and worried that others will only focus on my terrible acne. To make things worse I have also heard my dad say to my mom that my skin lately has been looking really bad and that really hurt my feelings. I don´t know what to do anymore, I´m going back to school again in less than a month and I already feel like not going. do you have any tips ? what works for you ? Feel free to comment . PS:I´m also on 20mg of accutane . this is my 3rd month. Hang in there!! You are probably having a flare up as the accutane is working to eliminate your acne. You are well on your way now so I expect things will start to improve for you very soon. Try and be positive. Don't waste your summer dwelling on your skin and letting it stop you having fun. All the very best. Keep us updated with your progress please. So, today I woke up with 2 more pimples and I feel even worse than I did yesterday. I know for some people this seems like nothing but for me It is important and very upsetting since my face is already covered in acne. I should not let my acne control my life but It's easier said than done:( Thank you for answering, though. Hang in there. I have been in your shoes. Accutane really worked for me. it took 4 to 6 months to control I think. Dermatologist would tell you best. 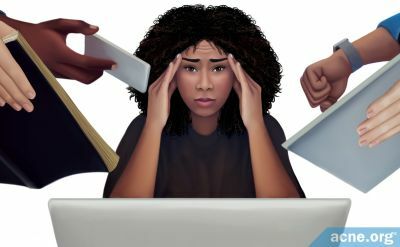 Please do not stress as its not good ,you would get more breakout....read a book ,watch movies etc. And accutane makes it worse initially. It should be able to suppress acne if its your 3rd month. When is your next visit to the doctor ? They might adjust your dose. It's slow progress on roaccutane. Sincerely understand the frustration. 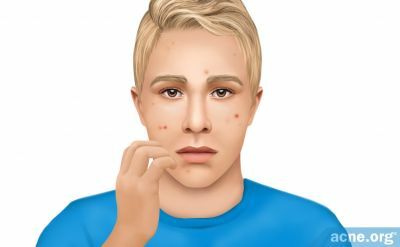 Acne is an awful disease which is soul destroying and relentless. You will never be alone though as there are so many people on here who totally get where you are coming from. Keep reading the roaccutane blogs and sharing your experience and we can get through these difficult times together. Hey there! My next visit to the doctor is in september, mid september. You will get through this. I feel that you are young and full of life... Don't let acne get in the way of you doing things that you love. Have faith that everything will be alright soon. Best of luck! Ok, update : I'm on my 4th month now and well, let me tell you that I don't know how to feel, honestly... My forehead is almost clear but I still get some pimples from time to time (I got a pimple yesterday after not having any for a week), my right cheek is looking a lot better and I haven't had any pimple for almost two weeks.. My left cheek is still looking really bad and what's bothering me the most is a cyst that doesn't hurt or anything but is Red and noticeable and has been there for almost a month. Ps: I don't know how does It Work on other schools but I'm from Portugal and here students usually have classes until 4:30 pm, then when they get to the last year of high school they have classes until 1pm everyday, which is awesome and every student loves this. Thanks for updating. So glad you are more positive and didn't find going back to school as hard as you had expected. Keep up the good work! What dose are you on now? Sounds like it's working , which is wonderful! There will be ups and downs but you need to hang in there until the course is finished. All the best. Well, I´m still on 20mg a day . I have an appointment on September 28th , I hope my dermatologist increases my dose ... I think It would help a lot more. Good luck at the appointment. I would ask the Derm what the plan is for continuing your course ie what doses and how long. It could be that he/ she is checking that you tolerate it before increasing the dose. I really need to vent today... I feel like crap. This morning I woke up with a big pimple in my right cheek after having none for more than two weeks in that area . Well, I promised myself I wouldn't freak out If I got a pimple but today, as I was getting ready for school, I failed and cried like a baby, I wanted It to stop but I couldn't, the tears kept falling and I just sat in my bed crying and feeling disappointed with myself , even though I did nothing wrong. So, today when I arrived home from school and took my makeup off I felt like crying ... but I didn't, instead I looked at my face in the mirror really close and then at pictures of my skin before accutane and I felt so heartbroken... I thought my skin looked awful before but now, now I see what bad skin looks like. The only thing that made me happy while looking at those pictures was that my forehead actually looks better now than before, but yeah, my cheeks and jawline just look so so bad , I believe that if it wasn't for the red marks my face would look a little bit better but overall my skin is just not nice and clear as I expected it to be by now. I feel like staying at home forever , alone, but I know I have to fight this feeling , go out , be with friends and study... today is just one of those days I don´t feel like pretending to be happy or being with people , I think we all have those days. Anyway, hope you guys are having a good day. Hugs mate. Venting is good though. 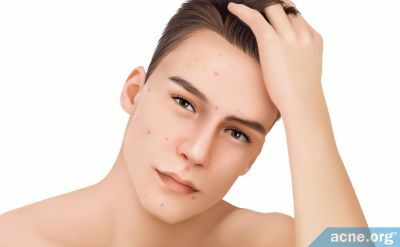 As you say, it all gets too much sometimes and we feel overwhelmed with frustration and anger at why we have to suffer with acne. It is unfair when so many people have perfect skin. 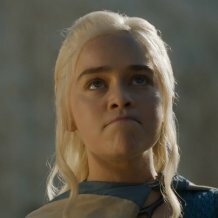 Why shouldn't we feel angry and sad! We can allow ourselves to be. What matters is that after we have allowed ourselves some time we can pick ourselves back up again which you clearly are. Don't be disappointed in yourself. You're not a machine! Be proud though of your determination to get on with your life while you are sorting out your skin. 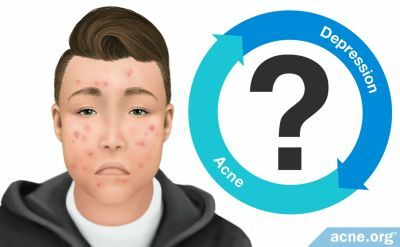 Accutane is tough because it generally gets much worse before it gets better. Some people, perhaps with milder acne get quicker results but for most it takes longer. You are on a low dose and early on in your course so try to have faith that the outcome will be good. It will be tough along the way but at least you are doing something positive which has good prospects of success. Take comfort from that! Think of the final outcome. Every day you are one day closer to clear skin. All the best. Rooting for you! So, today I had my derm appointment and here's how It went: she took a look at my skin and asked me If my face broke out badly in the first month and I said no, that It actually got a lot better and she explained that sometimes people have their initial breakout later on the course and that's what is happening to me right now. She increased my dose to 30 mg to see how I react to It... I really like her, you can tell she cares about the well being of her patients. Well, she told me to come back 4 months later and that by that time my face will most likely be clear... We'll see, I really hope so because It's awful to be living with this skin condition . One thing I'm really worried about is that she said I will probably get more acne now that she increased my dose... I don't think I can handle yet another big breakout but I'm desperate to have clear skin so I will have to be strong. Yesterday my dad told me that my skin is looking better than last month and I also think so but It is not clear or beautiful like I want It to be so I'm not very happy yet. Anyway, I'll update again when I begin my 5th month (october 6). Really good to hear that you are happy with your derm. Yes increased doses can cause breakouts. They are necessary to unblock your pores however , so try and see it as a good sign. It's really hard I know , but you can do it! The roaccutane course will be over before you know it. Stay strong and positive. You need to follow thro with it now. All the very best. I really wish that your skin will get better and better. Based on your updates, I think your skin is responding well to it and I hope it does till the end. It's hard not to worry about it but maybe don't think of a new pimple coming up too often. 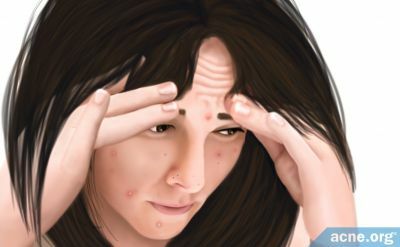 If you think too much, you might indeed be attracting the pimples to show up! Best of luck on your journey! Keep smilin'! Interests: Investing in high risk factors, business maniac. Hello, I saw every text you posted and I would like to tell you that everything good comes with time you have to wait and don't worry about the breakouts just let the accutane do its thang, I would tell you some tips..
Don't ever everrrr touch your face even when you wash your face, or if you do just do it gentle, on accutane if you touch a pimple you can get crust from it, and the healing process to be longer, when you are on accutane overall the healings process are slow, also don't ever eat dairy foods. There is abundance of a hormone called IGF-1 in milk, which is really good for baby cows, but not for you. IGF-1 is a growth hormone. It makes baby cows grow up big and strong, but in humans, it tends to make your acne grow big instead. 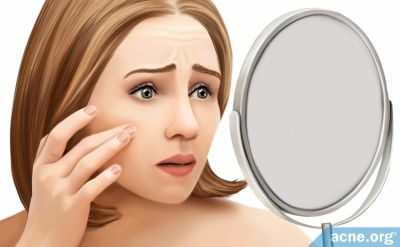 IGF-1 is one of several factors that cause inflammation in humans, and which eventually lead to acne (and the ugly redness and swelling that makes acne so annoying). Milk and dairy products cause an insulin spike in humans that cause the liver to produce even more IGF-1, leading to even more acne. Dairy causes your skin to produce excess sebum (oil), leading to – you guessed it! – more clogged pores, more acne, and a breeding ground for P. acnesbacteria, which feed on your sebum and spew out inflammatory by-products. I had acne until month six while on accutane then I 100 percent cleared. Do not pick at or pop pimples while on it or you are likely to get scars that are permanent. I just began my 5th month on accutane and I´ve also been on 30 mg for a week now. So, I don´t see much difference from last week and I had no big breakout either (I honestly thought it would be a lot worse)... just a couple more pimples (5 or 6) but they are not very big or red. My forehead is totally clear and It´s been like that for more than two weeks now, which is awesome , but my cheeks are still looking awful , lots of red marks and pimples . My cheeks are taking SO long to get better , I´m tired of waiting I hate looking in the mirror and seeing this ... we´ll see how It goes. The lips and dryness can get so severe. You have to be so disciplined , almost obsessed with applying blisteze or Vaseline or whatever you're applying. Great news re your forehead. You will get there with your cheeks. Keep positive. All the very best. Half way through 4 th month and still breaking out a lot , week 15. It is disheartening, but in a way I see each new pimple as the skin pushing out the clogged pore. There are a lot of clogged pores!!! I think it needs to happen to enable all your pores to be cleared out and then your skin can heal. RNacne who posted earlier said 6 months before no breakouts. Best expect it to take that long then anything else is a bonus. So, I´m on my six month and well , I thought that finally my skin was getting better but now I am not so sure about that ... I was clear for like 3 weeks but now I´m breaking out again , my left cheek has 3 pimples right now , my right cheek has one ... honestly , my cheeks are a disgrace , they look so so bad . This situation makes me really sad because I had finally started to feel happy about my skin and I actually believed this was it , the moment I had been waiting for ... guess I was wrong. I´m so sad right now , this is awful , I just want this to be over , It has been a painful 6 months. 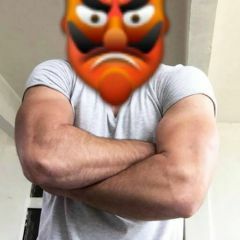 the only part of my face who has remained clear for almost a month is my forehead and I´m grateful for that but at the same time I just want to hide my face. You may need to be on it a bit longer. Everyone is different : Will depend on dosage, how effective absorption has been etc. Try and stay positive. When do u see ur derm next ? All the very best.